The less commonly prescribed opioid substitute buprenorphine may be safer than methadone for problem opioid users, especially if used during the first month of treatment, according to a study which includes University of Manchester researchers. The University of Bristol led study, funded by the National Institute for Health Research (NIHR) and published in the journal Addiction online today, analysed GP practice data for over 11,000 patients on opioid substitute treatment linked to deaths data. It assessed the relative risk of death for the two treatments, compared to not being in treatment, over three time periods: in the first four weeks of starting treatment, during the rest of treatment, and in the first four weeks after treatment ended. Roughly a third of patients receiving opioid substitute treatment were prescribed buprenorphine and two-thirds methadone. As previously shown, risk of death is higher at the beginning and immediately after the end of treatment, the basis for the argument that retaining patients in treatment for longer periods will save lives. The new study shows that patients on buprenorphine had substantially lower rates of overdose death during treatment compared to those on methadone: four times lower in the first 4 weeks (0.3 percent compared with 1.24 percent) and almost twice as low during the rest of time on treatment (0.18 percent compared with 0.33 percent). These differences remained even after adjusting for differences in patient and practice characteristics for those prescribed methadone or buprenorphine. Patients on buprenorphine also had lower rates of all-cause mortality during and immediately after treatment – which may be because patients who are older and have other physical and mental health complications may do better on buprenorphine than methadone. The study also confirmed that patients on buprenorphine do not stay in treatment for as long as patients on methadone. Since the benefits of treatment are greater the longer treatment lasts, this needs to be considered in relation to the choice of substitute drug. The researchers undertook a modelling exercise to see what impact treatment duration might have at a population level. They concluded that, overall, treatment using buprenorphine alone was unlikely to reduce the risk of drug related poisoning deaths because the treatment periods are shorter than for methadone. "Although this is a somewhat complicated picture, with lower rates of death for patients on buprenorphine offset at a population level by the shorter treatment durations, our findings clearly suggest that buprenorphine may be the safer treatment option. Because of the shorter treatment duration associated with its use, starting treatment with buprenorphine then giving patients the option to switch to methadone later could be the best approach. "Internationally, there is no consensus about which medication to use. 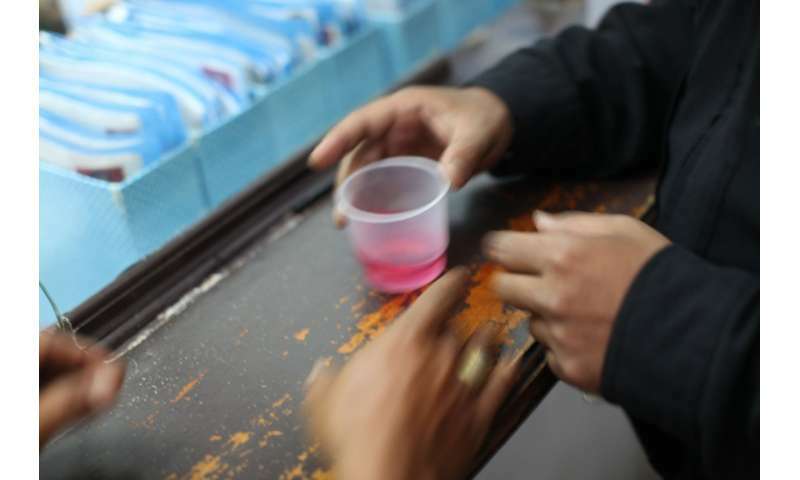 In the UK, the British Association for Psychopharmacology currently recommends methadone as the first-line treatment if there are no contraindications. We believe that future guidance should take these findings into account." "Despite the record number of patients in treatment, drug related deaths continue to rise. Our research provides evidence to support a change in the way treatment is delivered that could save lives. We now need trials in the UK on how we combine different opioid substitution treatments alongside other behaviour change interventions to retain people in treatment long enough to reduce the number of drug related deaths in the population."